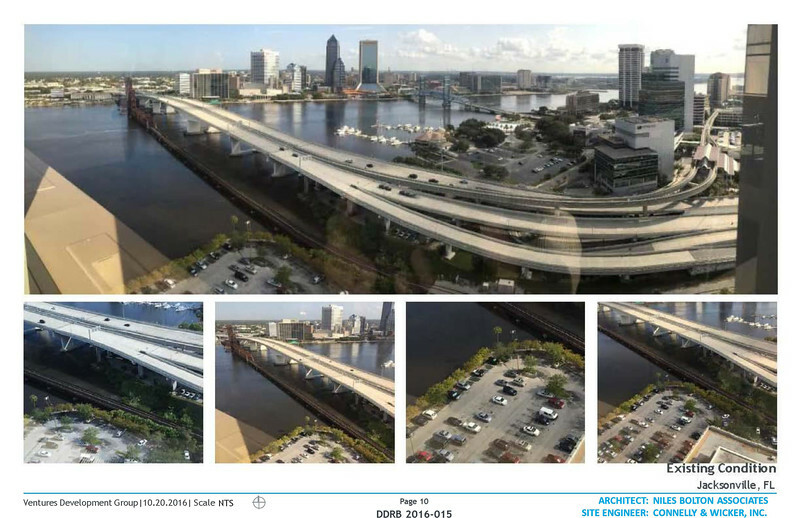 Downtown Jacksonville's skyline could change over the next few years. 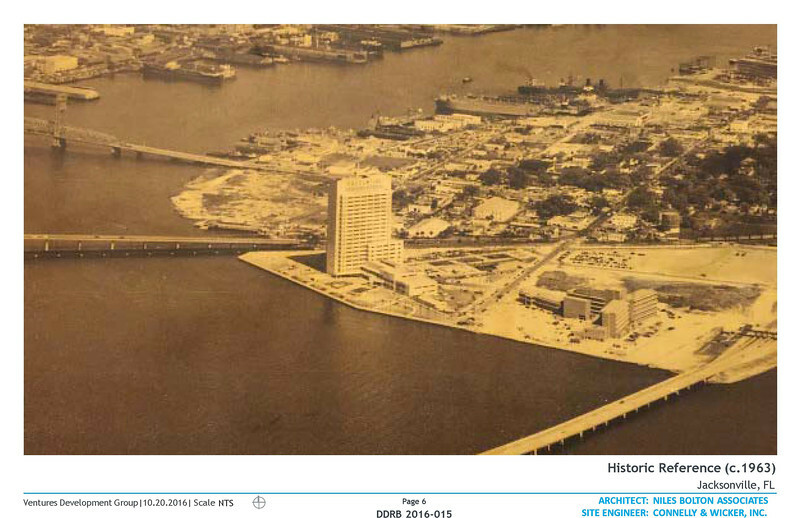 The Ventures Development Group intends to build a 14-story, 250-unit apartment tower on the Southbank. 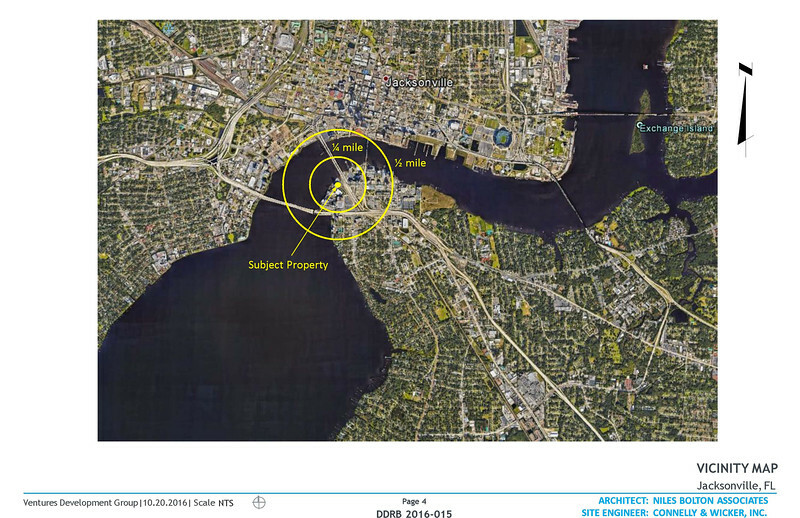 If approved, it would be the first high-rise built in downtown Jacksonville since 2008. 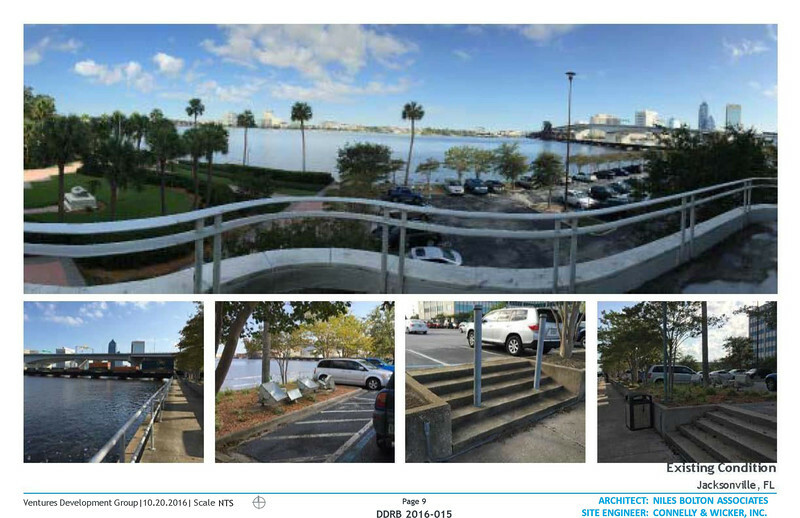 Here's a look at their October 2016 Downtown Development Review Board (DDRB) Application Package to get a better idea of what this project could look like. Let us know what you think! 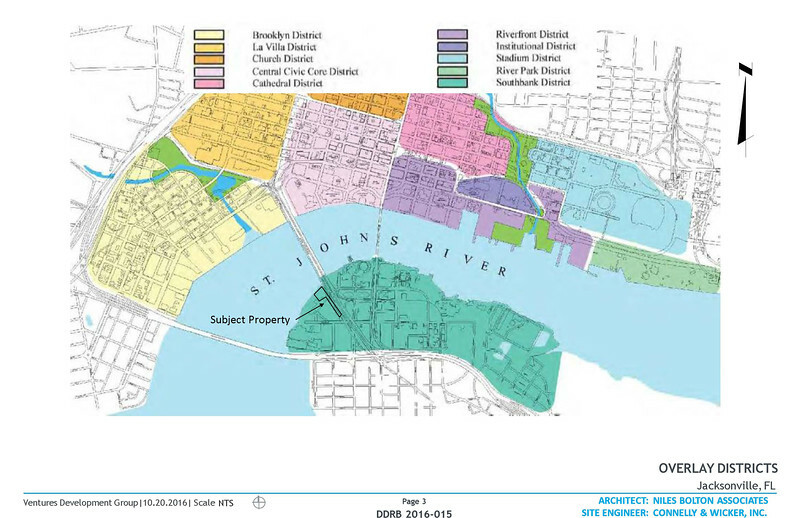 DDRB Application 2016-015 is before the DDRB seeking conceptual approval of a "Master Development Plan" for multi-family project located adjacent to the Aetna Building in the Southbank and on the St. Johns River bank. 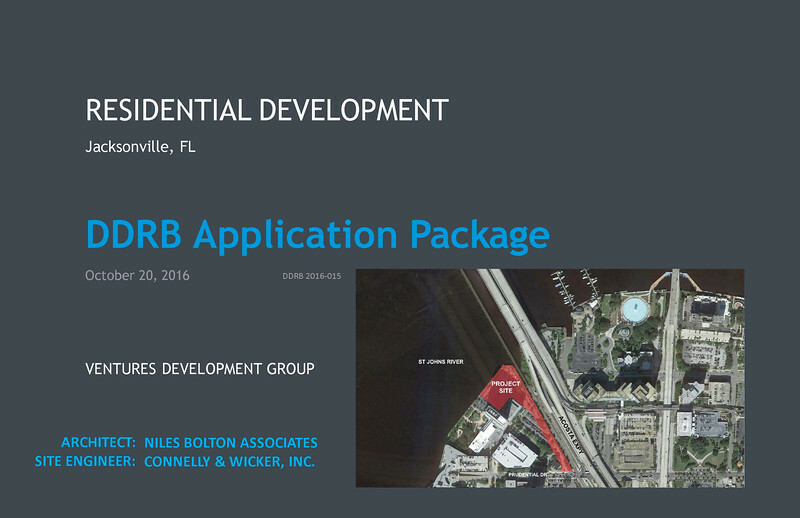 The site is currently developed with surface parking for the adjacent existing Aetna multi-story office building and parking garage. 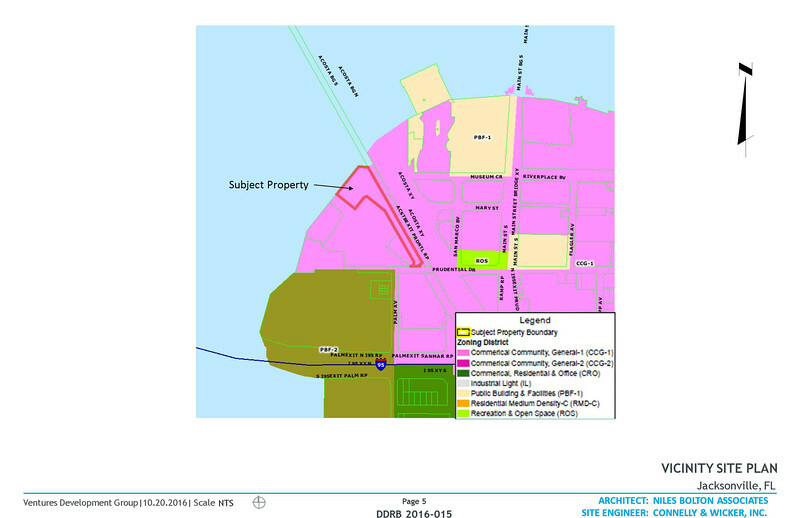 The proposed development is located on a portion of the site that was previously approved in 2005 for multifamily development and did not proceed with construction. 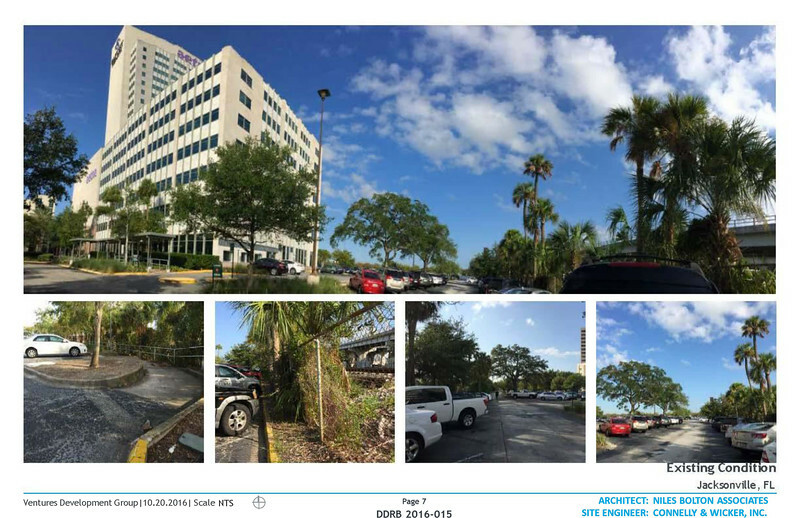 This proposed multi-family project is proposing a new site plan and is located on approximately 2.9 Acres of an area used for surface parking by the existing Aetna Building. 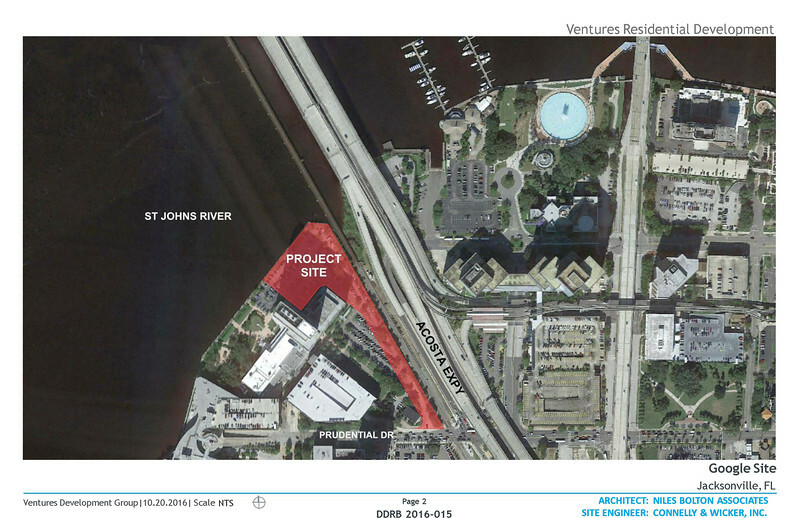 The proposed development has parceled out a narrow parcel of land parallel to the rail tracks from Prudential Drive for access, to a larger area with frontage on the St. Johns River and adjacent Riverwalk. 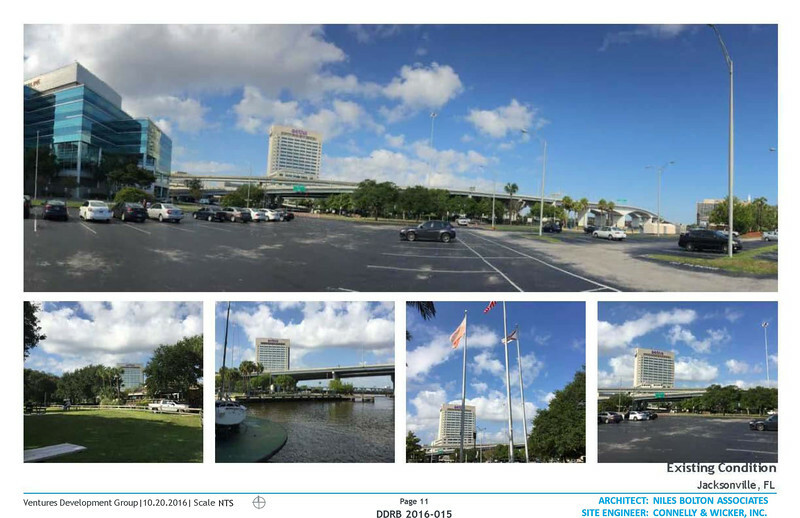 The applicant proposes a 10 story multi-family development above a 4 story parking garage for a 14 story building with an overall building height of approximately 168 feet. 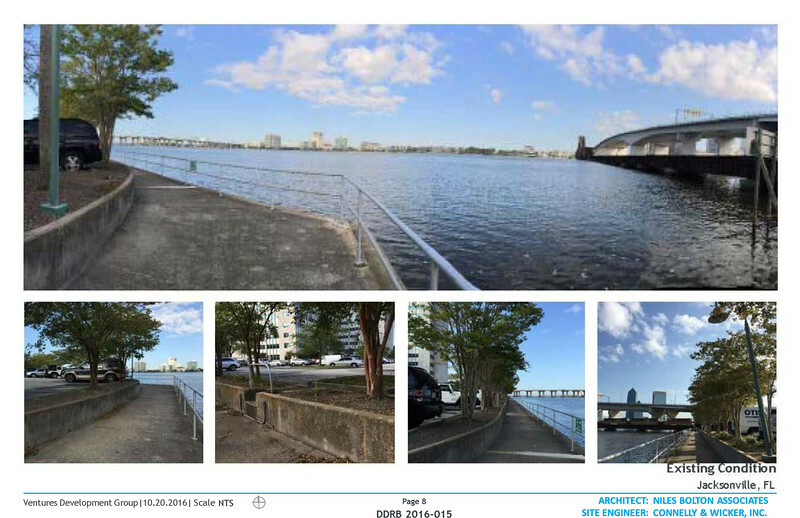 As noted, the site is adjacent to the existing Riverwalk and the proposed development includes a potential Dock/water Taxi Station.